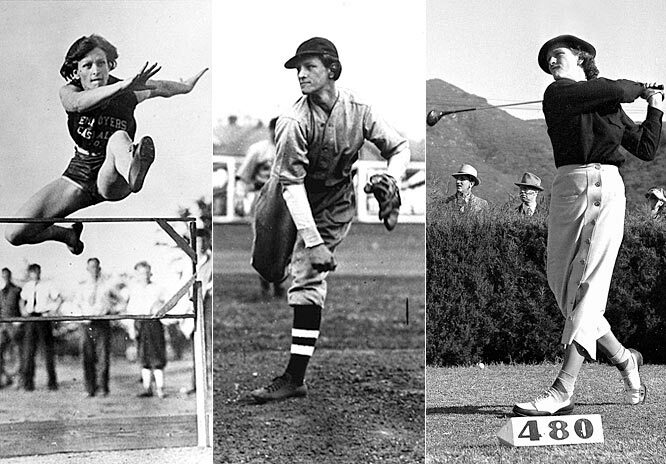 “My goal was to be the greatest athlete who ever lived,” said Babe Didrickson, and she sure accomplished that! Babe was a master of many sports including golf, basketball, track, baseball, tennis, swimming, diving, boxing, volleyball, bowling, billiards, skating and cycling. Wow, I’m tired just writing all that out! She said she got the nickname “Babe” after hitting 5 home runs in one baseball game during her childhood. She won medals in the 1932 Olympics in the hurdles, javelin throw and high jump. Babe was offered $75 a month to work for Employers Casualty Company of Dallas just so she could play for its team. That’s a decent amount of money in 1930! In the 1940s, she was said to be the greatest woman golfer of all time. She was the first American to win the British Women’s Amateur Golf Championship, the first woman to win BOTH the British and US Women’s Amateur Golf Championship, and the first woman to win the Western Women’s Open THREE times! Posted by fungoplay on May 18, 2012 in Flashback Friday.